I love popcorn! It’s a guilty pleasure of mine, especially when watching a film with the kids. 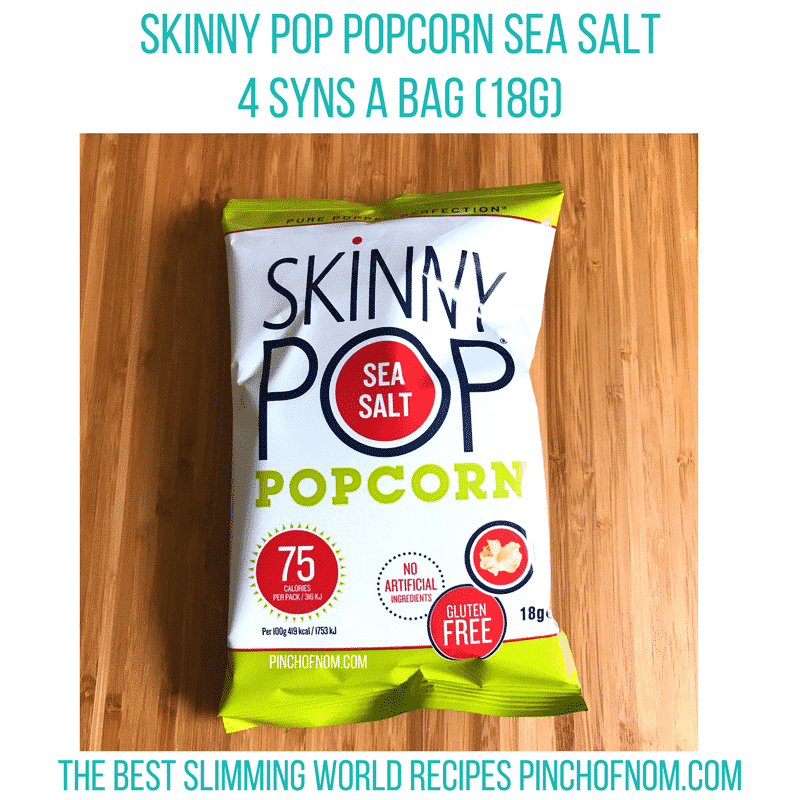 Slimming World friendly popcorn SkinnyPop Popcorn, sent us over some of their new popcorn flavours for me to try! The trouble is that many brands are laden with calories, and therefore laden with syns. Imagine my delight to discover SkinnyPop popcorn. Available in two varieties, Sweet and Salty and Sea Salt flavours. 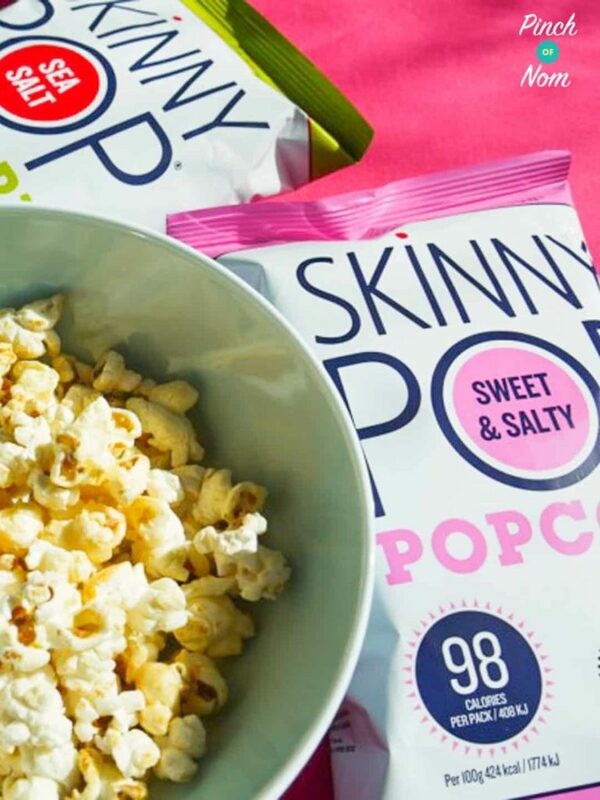 What does the SkinnyPop Popcorn taste like? The Sweet and Salty flavour is very moreish, as many snacks are. I would have liked the flavour to be a little sweeter, but I do have a very sweet tooth! The Sea Salt flavour is just salty enough, without the flavour being overpowering. 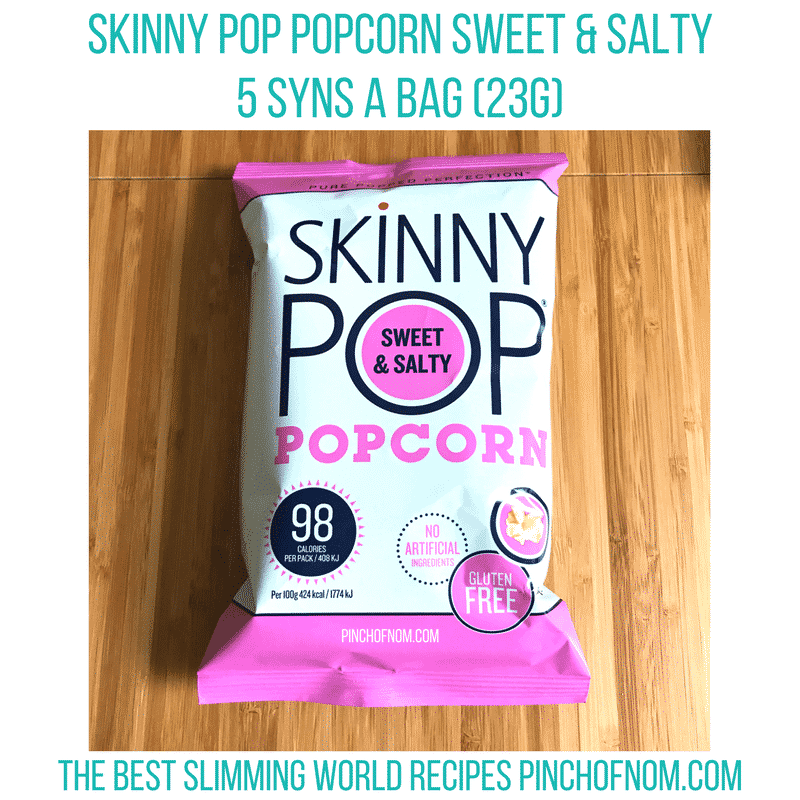 How many Syns are in SkinnyPop Popcorn? The Sweet and Salty flavour comes in at 5 syns per 23 gram bag, the Sea Salt flavour is 4 Syns, according to the Slimming World Syn calculator. They are gluten-free, wholegrain, with no preservatives and no artificial ingredients. 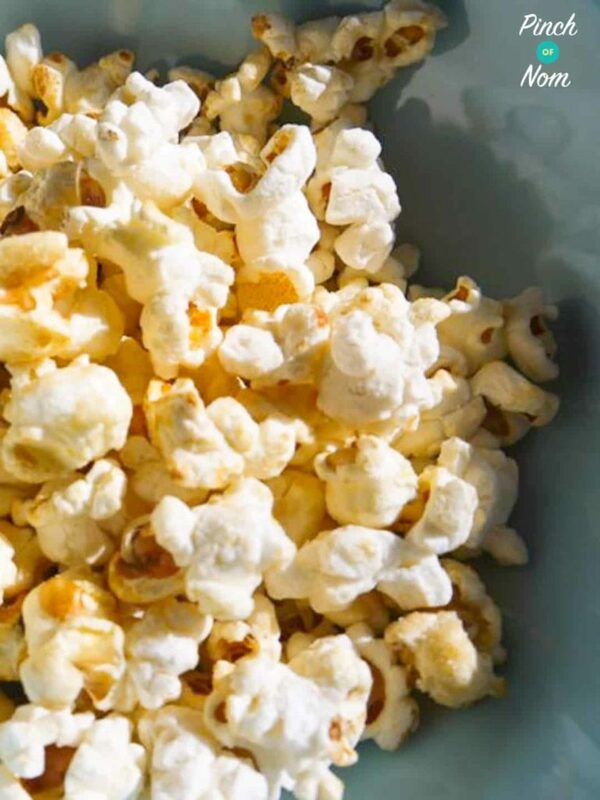 Ingredients are listed as popped corn, sunflower oil, sea salt and in the case of Sweet and Salty flavour, sugar. The packaging is fairly plain, almost utilitarian, but the dietary information is very clear. How much is SkinnyPop Popcorn? 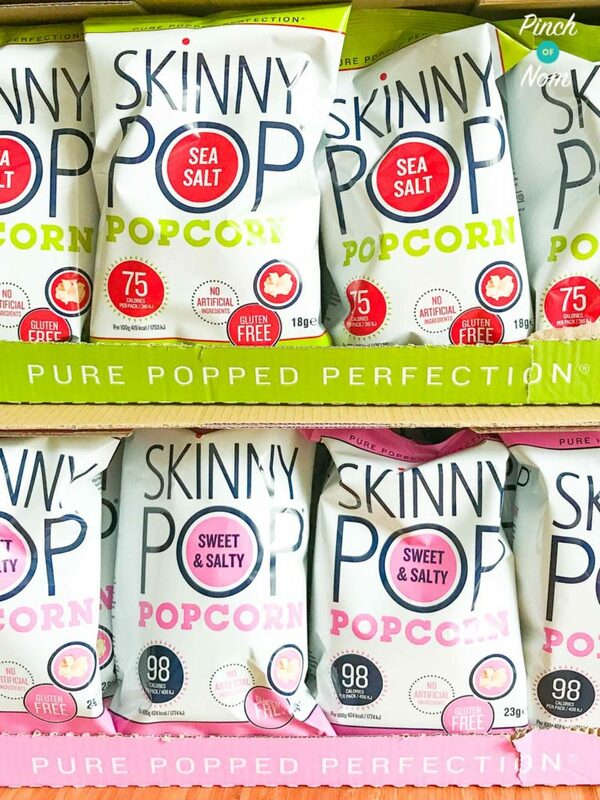 SkinnyPop Popcorns RRP is £1 a bag, which isn’t bad at all! 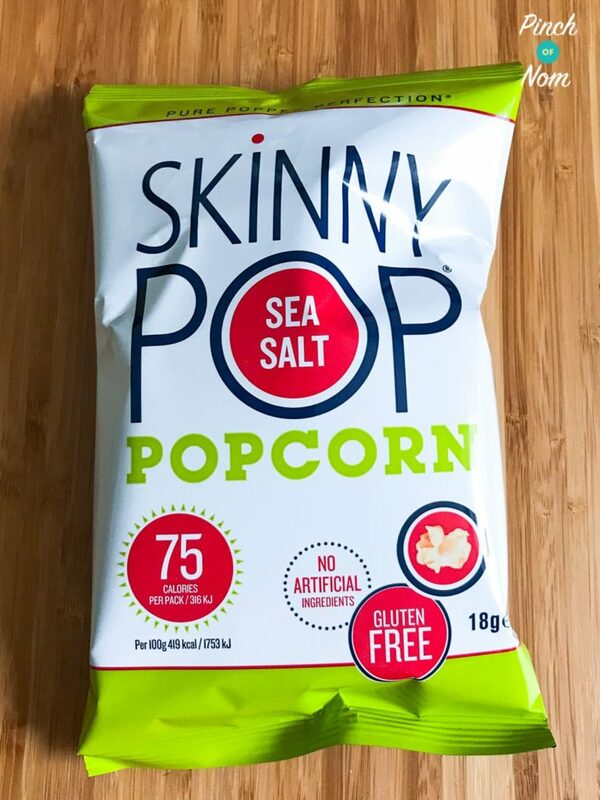 Where can I buy SkinnyPop Popcorn from? SkinnyPop Popcorn is available from Costa Coffee, Co-op stores, Budgens and Londis. 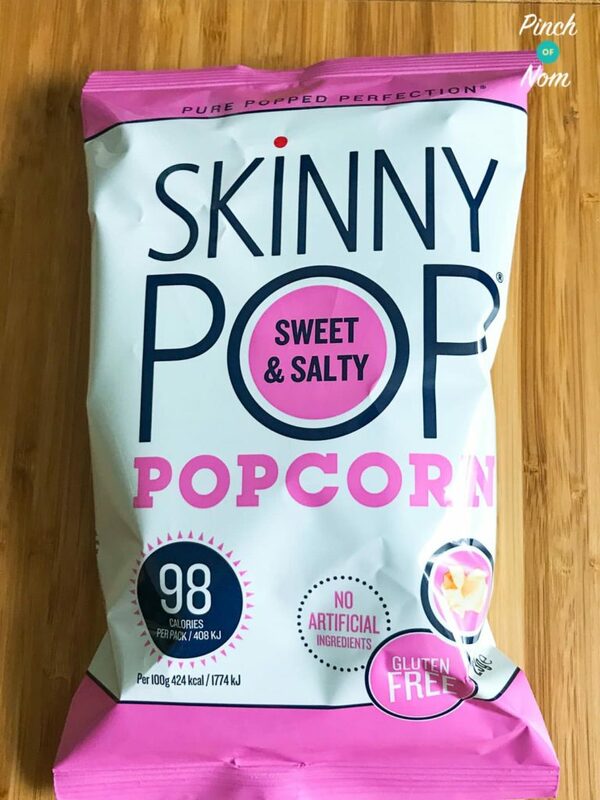 Would I buy SkinnyPop Popcorn again? I really enjoyed both, but personal preference (and my sweet tooth!) means I’d choose the Sweet and Salty flavour over the Sea Salt variety. I’d definitely buy it again! Thanks for getting in touch, Brett.